That’s one morbid book title up there don’t you think? 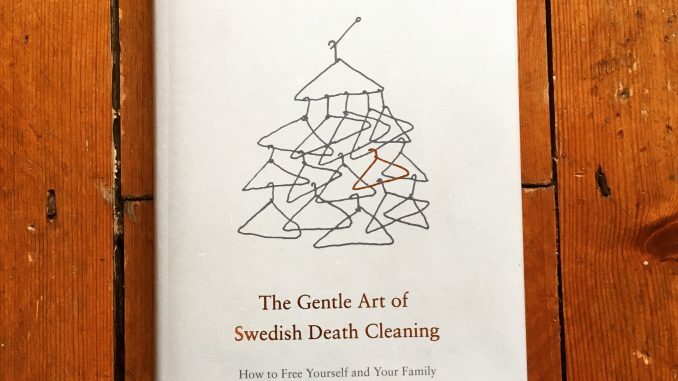 Actually, The Gentle Art of Swedish Death Cleaning is a lot more uplifting than it sounds. It’s one of the most inspiring and thought-provoking books I’ve read in a long time. Previously the attitude amongst clutter clearing books such as The Life-Changing Magic of Tidying has been all about identifying those possessions that have most meaning for you. Does it Spark Joy? If not then chuck it out. In contrast, Swedish death cleaning is all about seeing your belongings in the context of ‘Will the next generation give a toss about this when I’m gone?’ And if the answer is no, out it goes. It’s all about taking a positive attitude to the stuff that is no longer serving us as we move through life, and choosing to surround yourself with the stuff that supports you now. It’s not so much about being minimalist, as about being mindful of what we leave behind for those who come after us. 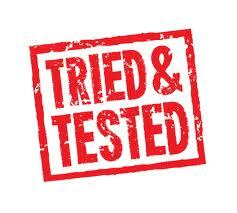 Author Margareta Magnusson (“aged between 80 and 100”) is your pleasingly nuts guide. The book is peppered with sorts of pleasantly bonkers asides, like the time she went to a party wearing a wok as a hat, or that time she went skiing in a bikini. As you do. I really like this woman – we need more role models like her. The only negative thing I would say is that I do think that the £12.99 I paid is quite steep for a book just over 100 pages. I realise that there is a certain irony in wanting more of a book that is about having less, so perhaps I should measure it by depth of wisdom instead. Also the bit where she gets her dog put down is kind of harsh. That’s some extreme clutter clearing alright. Dennis the Cat was looking at me a bit nervously during that bit. He’ll be OK though, he might be malevolent but he has a lot of fans. 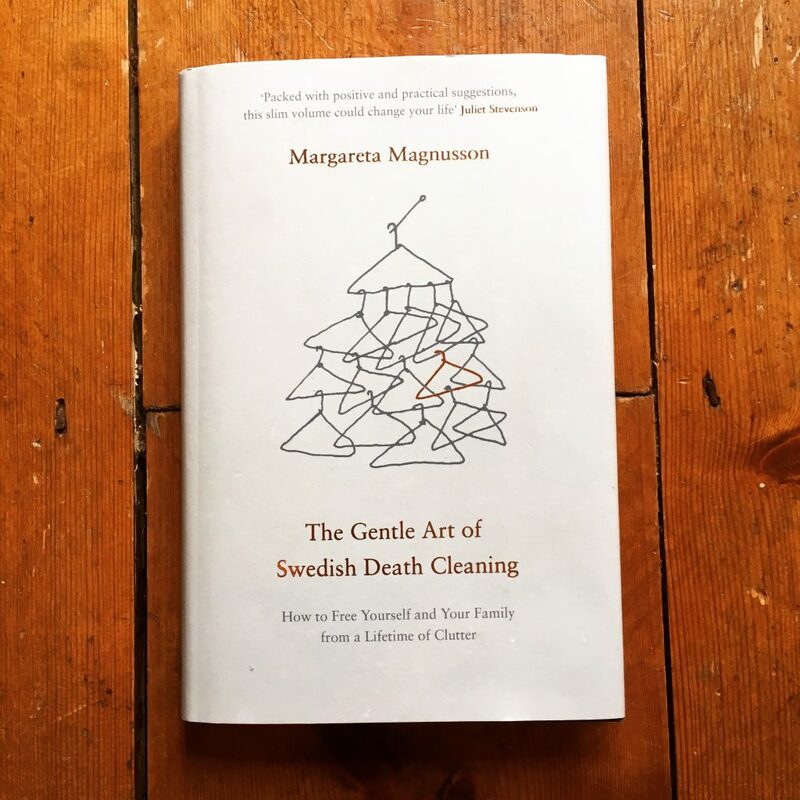 The Gentle Art of Swedish Death Cleaning by Margareta Magnusson is out now in hardback, published by Canongate. RRP £12.99, currently reduced to £9 on Amazon.